The first reviews of my new book have appeared and I'm delighted as they are very positive. Alex Roddie, who I was very pleased to see at the book launch in Inverness last week, writes on his website 'I have read several books by this author but I think this is one of his most diverse and enjoyable reads yet – perhaps also his most important ....... the result is magnificent'. Alex also contacted me with a few questions. My answers are appended to his review. 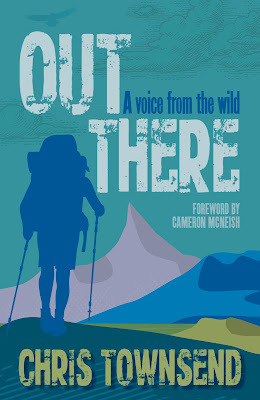 In Outdoor Focus, the journal of the Outdoor Writers and Photographers Guild, of which I am a member, Roly Smith describes the book as a 'highly readable anthology' and 'highly recommended'. Only just started reading, but if the preface is anything to go by it'll be a fantastic read thanks very much Chris.